The T-6 Texan II is a training aircraft developed by the American company Raytheon. The company has got a "GO" from the Department of Defence for the serial production of 6 T-6A Texan II aircraft for the United States Air Force. The aircraft must not be delivered later than February 2008. 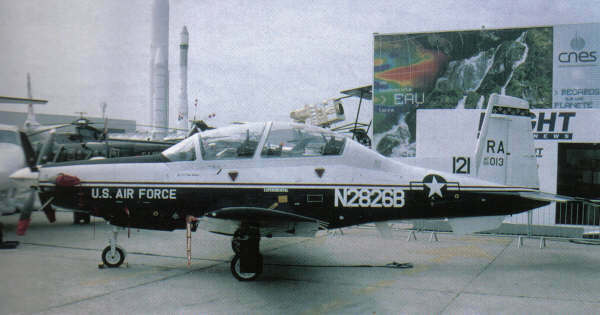 Raytheon has also developed a newer version, the T-6B. Under the T-6 program, the company expects an order for the delivery of 454 aircraft for the US Air Force and 328 for the United States Navy.